The currency of prison is time. ‘Use your time’ is a line often repeated on National Prison Radio who broadcast to prisons in England and Wales. People in prison hold different attitudes to time: for some it is to be beaten, vanquished. After one workshop a man thanked me with ‘Nice one. You killed the morning.’ Only those with life-shortening conditions conceive of time in the same visceral way, though from the other end of the telescope. How you will spend your time is the number one question in prison. It defines you, and how others will treat you: to take education or not, to use the workshops to earn a bit of money, to go down the gym, watch the soaps etc. 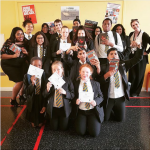 One young man told me reading was getting him through his sentence. He was always in the library choosing books to occupy his mind when his cell door closed. You have a lot of time in prison to think, if you wish to. Reading can help you to explore, and make sense of, that inner space. If you have the time to read it doesn’t follow you will have the ability, or the inclination. 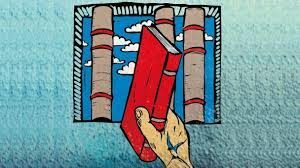 Half of adults in prison have the reading age of an eleven year old. What if your pad mate is watching the soaps, or you can’t focus on the page because you don’t feel safe. 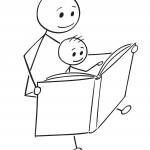 As well as Turning Pages, Erlestoke runs schemes that encourage reading such as Reading Ahead, and Storybook Dads where prisoners record a storybook onto a CD that is then sent to their family. 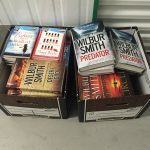 Erlestoke also runs First Nighters which offers all men coming into the prison a free book from a list donated by Give a Book. Generally about half the men choose a book from a list of popular fiction and nonfiction titles. Samuel will show the FN list to new arrivals during induction. Once they have chosen the book will generally be in their cells by the time they get back a couple of hours later. George who runs Reading Ahead received a book. It wasn’t to his taste, so he didn’t read it, but three other people on his wing did ‘so it served its purpose.’ He wants to see more nonfiction on the list. The library is a unique space in a prison. A place that mirrors its outside counterpart. The appeal of the library is more than its books and magazines. It has a dvd collection (there are about twice as many dvd loans as book loans), and it has comfy chairs. Many prisoners see the library as a refuge, and it certainly well used. 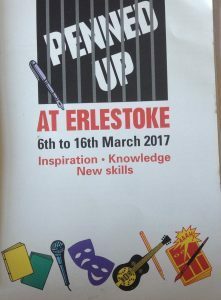 Erlestoke is not a purpose built prison. It was once a manor house, then requisitioned during the war, damaged in a fire, and used as prison ever since. The grounds hold the prison wings where the prisoners eat and sleep, but I’m told the education and library are in the original manor house. The library is supposedly in the divided ballroom though it’s all hidden by a false ceiling after the plaster started to fall down. Even if that is true there is no sign of that earlier incarnation now. In the library surrounded by shelves of familiar books it’s easy to focus on how those that enjoy books. We readers like to imagine that reading solves problems, that is can cure. We are believers, but any faith is only as strong as those who challenge it. It is fairly easy to ask the men who come over to the education block for classes, or the library. Those that come to the education block generally abide by its rules on behaviour, and don’t seem to find it odd that I’m asking them questions about their reading. I decide to track down a few of the men not attending education who did, or didn’t, take a book from the First Nighter list. I follow a hand drawn map to the place where one of the newly processed men is working. There are rows of tables where men are assembling something plastic and fiddly. I have no idea what it is. Stephen looks up when I say his name. Other heads lift to see what I’ve brought, who I am. I can see Stephen wondering what nonsense I’m bringing with me. I ask him about the book he’d received, and what he thought about the idea. He checks out who is listening before he speaks. ‘I was surprised. It’s not what you expect in one of these places. I’ve never been given anything in any other jail.’ Stephen apologises for not having had the time to read the book. ‘But I am going to.’ He looks around embarrassed, as if caught with something he shouldn’t have. The volume of the voices rises again as I leave. Mark’s is backed up by Terry, who loves maths, but has only enjoyed two books in his life. ‘One about a fox and a mole when I was a kid. I adored that book. Just read it over and over. Then one by David Icke, that was good, but I tried another by him and it wasn’t very real. I don’t have time to escape in a book. I’m never bored. Boredom to me is just another way of saying depression. I get up, go to gym, education, do my phone calls, and eat my meals. I live my life well. There is no time for reading.’ Terry says all this as if explaining a simple trick to a dog. I go through several gates to get to the wing where most of the new arrivals are housed. The prison wing is cavernous and feels like a warehouse. The wings are where the noise of prison really hits you, forcing you to lean close to catch someone’s words. Officers stand or sit watchfully. We compare our responses to the book, its pacing, its research, the way it covers so many lives. And the books keep spilling from Nick, as if he’s determined to remember every one he’s ever read. ‘The Girl with All the Gifts. They’re making a film of that you know.’ And then his eyes light up. ‘We Need to Talk About Kevin. Have you read that? I mean it took me a while to get into it. I didn’t think that much of it at first to be honest but the last fifty pages.’ He purses his lips. ‘Just amazing.’ He doesn’t need my agreement. 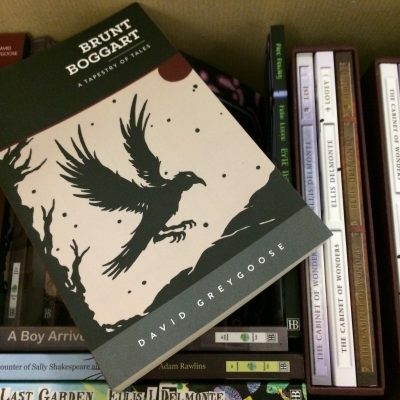 His eyes are turned away as he looks inward remembering each book, savouring the experience. He recommends that I get a book group together. I tell him there is one in the library already. He looks amazed. We shake hands as I say I’d better get back to education. As we part he thanks me for the conversation, for taking the time to come and find him.